Looking to start running...? If the answer is yes, then this program is for you. Starting on the 8th January 2019 we will be running a a (free) 8 week program organised by qualified run leaders, aimed at getting you up to a 5k distance. Having achieved this milestone, we then encourage you to join the club to continue your running journey, whether that is going further, faster or just getting out more regularly. If you are interested in finding out more, then please speak to one of our members at any Tuesday or Thursday evening session, or alternatively contact Ian Edge for more information. The Beginners' Course lasts 8 weeks and we welcome all abilities, from those at jogging / walking stage, up to more regular runners. By the end you should be able to run 5K continuously. The course is based on 3 sessions per week where two sessions are supported by Run Leaders, on Tuesdays & Thursdays, and the third session is done independently (with advice to maintain the course programme). Sessions will start and finish at Appleton College/Bridgewater High School near Broomfields Leisure Centre on a Tuesday and at Victoria Park on a Thursday. We will work slowly with you, building up your confidence, endurance and strength in what we hope you find an enjoyable way. Who are Warrington Road Runners? 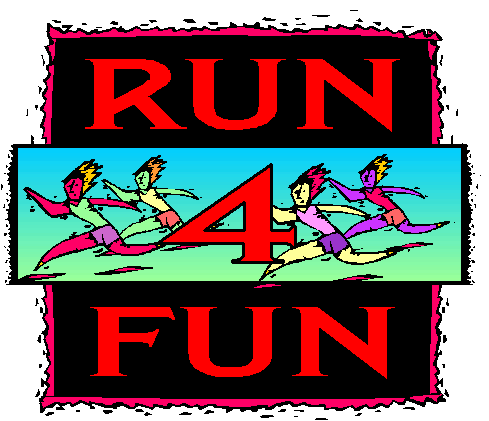 WRR is an England Athletics affiliated running club established in 1977. Our members are a mix of social and competitive runners with ages ranging from 18 to 60 something. We meet regularly to run on the footpaths and roads of South Warrington with summer routes including some scenic runs through woodland, fields and canal paths. We also hold a Thursday evening session on the track at Victoria Park for those members of the club who want to work on their speed. Unfortunately we are not in a position to give specific medical advice. If you are unsure of whether or not you should participate in our club runs because you are concerned about your health or have a medical condition, you should consult a doctor or medical professional. Want to know more then e-mail Ian Edge at edge.ian@hotmail.co.uk with your query. If you are new to running - even if you are physically fit - you should include walking breaks into your running for the first three or four weeks of training. Although this may sound boring, there is statistically a very good chance of becoming injured in your third month of running if you do not begin gently. It takes time for your joints, muscles, tendons, ligaments and bones to get used to the impact and mechanics of running. Your overall fitness tends to increase before your body has fully adapted, and that is when you get injured. Use the first three weeks to get into the habit of exercise, and adjust your daily routine, and let your body get a head start on adapting to running. If you have jogged a little, but never run far, it is still advisable to begin a program combining running and walking before you start regular running. When you are training, you should be able to maintain a conversation, talking in complete sentences. If you are too out of breath to do this, you are training too fast. Your fitness and strength do not improve while you are running. They improve while you are resting, as your body responds to the stresses it has experienced. Rest is just as important a part of your training program as running. When you start running, you should not run more than every other day. As you get more experienced, you should take at least a day off each week. You should not increase your weekly mileage more than 3 miles in any one week. This will ensure that you build up slowly. Jumps in mileage are asking for injury. For many runners, the first 3-4 weeks are a real struggle. Every time you put on your running shoes, you wonder why you are doing it. But one day, after about 3 weeks, you will suddenly feel the wind at your back, and you will run easily and smoothly without effort. Running will get easier from then on, and the good days will increase while the hard days recede. Enjoy it: you have become a runner. They may not be trendy, but the key is to make yourself as visible as possible to motorists. Great in the gym, but you will be less likely to hear cars, dogs, roller-blades, cyclists or criminals. If it is sunny, cover yourself in suitable clothing, sunblock and wear a hat. It's fine when you are out with the Club but important when on your own. Remember to make sure they know what to do if you don't return. Together with any essential medical information (such as any allergies). Some people use a small Velcro pouch - available at running shops, or a dog tag. These are especially useful if you are allergic to any form of medication.